This fortnight Patter has given us another hymn I am not very familiar with, but I had not trouble choosing the scripture I wanted to use for my pages which I will be printing out like I have done the others. Presently I do not have my craft things with me. My husband and I are having a holiday in our caravan with the purpose to be also close to my daughter who was expecting a baby this month. The day we arrived my precious new little granddaughter - Jasmine Melody was born. We got to see her when only 6 hours old. Another precious little soul for me to pray for and share my love of Jesus with as she grows up. 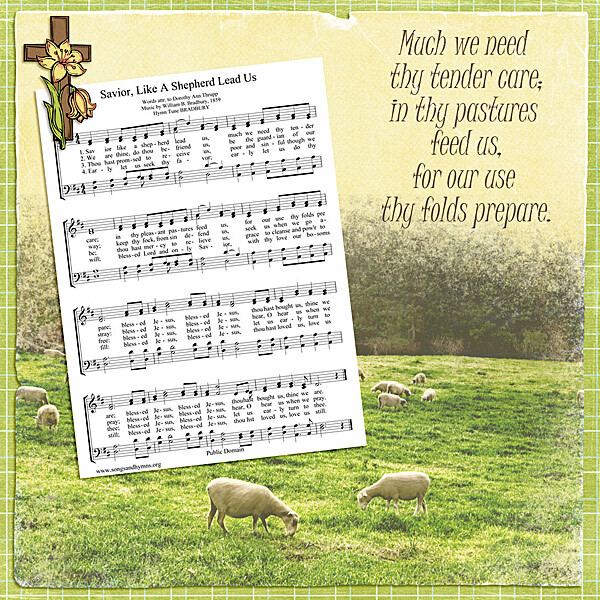 Like other times I will share my digital page first on which I share the hymn and this time have shared part of the first verse as I do like those words - We so much need our Saviour's tender care which he gives so freely to His sheep. 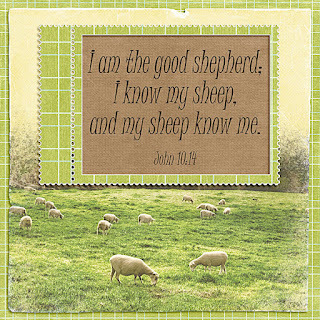 I am so thankful I am one of His sheep which is why I chose the scripture I have used on the other page ( one I will print when I am home ). For my digital art I have used a kit called Basketful of Goodness by Danas Footprint Digital Designs. The photo of the sheep was found on the internet somewhere. Anne-Marie that was the first scripture I chose and then chose another. We do know Him when he calls don't we. Beautiful work dear sister! Congratulations on your new grandaughter a lovely blessing for you to be there ! 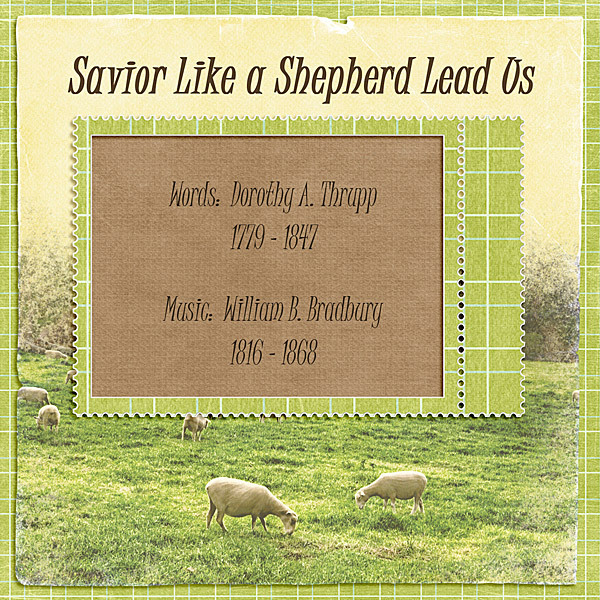 Your pages are so lovely , such peaceful scenes and colours, perfect for the hymn. Such beautiful pages, Anne-Marie! Such calm and peaceful images...they're wonderful!